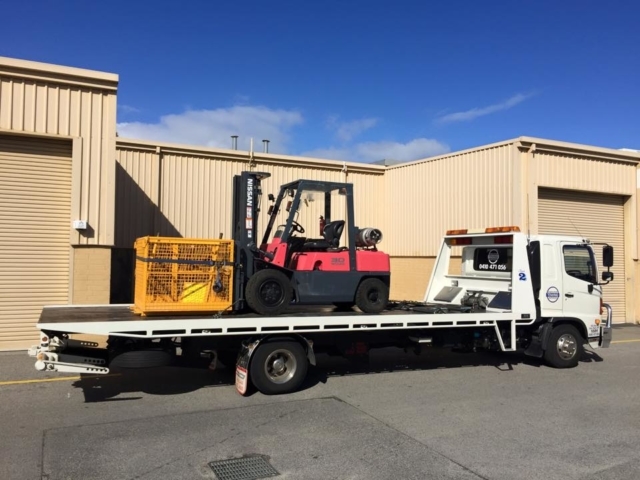 Executive Towing Services also provides cost-effective and reliable tilt tray hire services for Perth businesses, including those with plant machinery and equipment that needs transporting to and from factories, warehouses and worksites across the city and beyond. Tilt tray trucks are the ideal form of transportation for businesses with plant machinery and equipment to move short or long distances as these trucks are specifically designed to transport large, heavy items such as bobcats, diggers, forklifts and elevated work platforms. Regardless of the distances involved, the utmost care and caution must be taken when transporting heavy pieces of machinery and equipment because of their sheer size and weight, not to mention the financial outlay involved in procuring such valuable business resources. 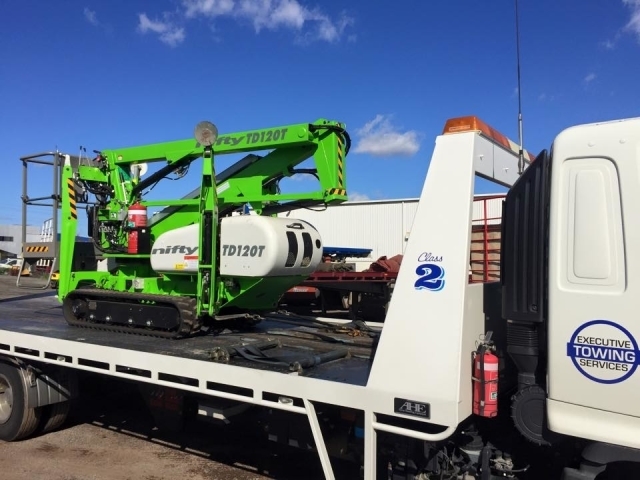 Our Perth tilt tray service is extremely safe and secure and we take every precaution to ensure that our clients’ machinery and equipment is loaded, transported, and unloaded in a manner consistent with the relevant workplace health and safety and transportation legislation. This means using the correct dunnage and restraining methods to safely secure the load, evaluating chain capacity in relation to the size of the weights and loads transported, and ensuring all items of machinery and equipment are positioned correctly on the tray of the truck. This not only helps to protect our valued clients, their business interests, and the health and safety of their employees, but also all the other motorists and their passengers who our drivers and trucks share the road with. Health and safety is of the utmost importance at every stage of the transportation process, so you can rest assured that your heavy equipment and machinery is in safe hands when utilising our tilt tray hire service in Perth and the surrounding areas. 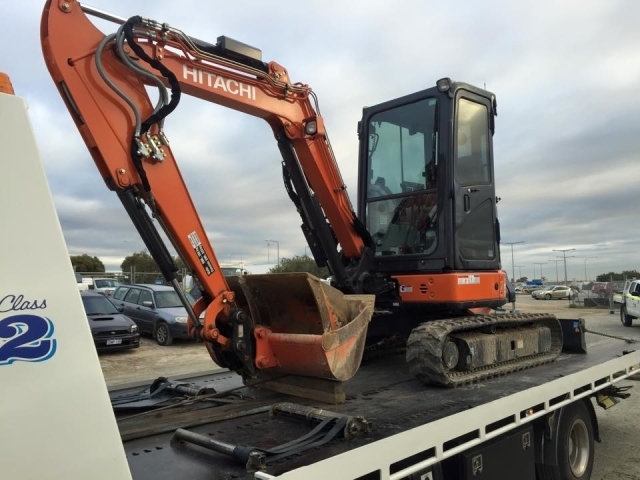 Experience – We have spent many years moving a wide variety of industrial and construction equipment from A to B and as a consequence, have a wealth of experience on which to draw when serving our clients across Western Australia today. While everybody has to start somewhere when launching a new business, we would advise you to pick a team with experience when the safety of hundreds of thousands of dollars worth of your equipment is at stake. We are aware of all the pitfalls that are waiting to trip the unwary and can guarantee the safe delivery of your machinery no matter what the weather or road conditions may be like. If you would like details of our experience with a particular type of machinery please do not hesitate to call and speak to a member of our team during business hours. Efficiency – Because we pay close attention to all the details when tasked with a new transportation job, you can rest assured that you will never have to deal with unexpected delays when hiring us to move your machinery. We always turn up at the appointed time, we are capable of loading a huge variety of equipment quickly and safely, and we always plan our routes carefully. If you need to be absolutely sure that your machinery will be in a specific location at a specific time, we are the people to call. 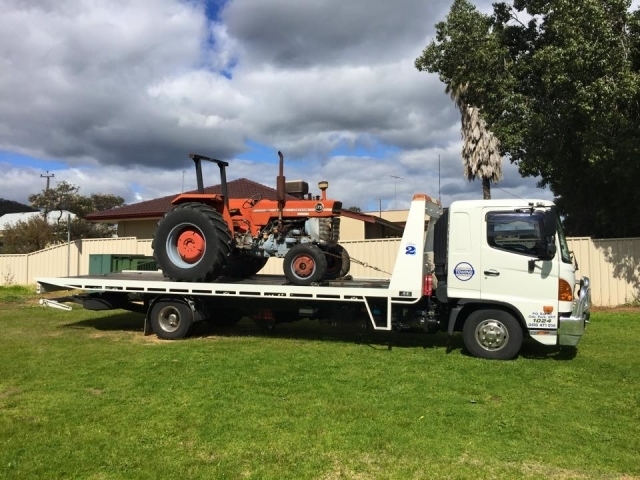 We may be most famous for our executive towing service but we have few rivals when it comes to transporting heavy machinery in Western Australia. Value for Money – We maintain our tilt tray trucks in superb working order, ensuring maximum fuel efficiency on all of our runs. In addition to making us one of the most eco-friendly transportation companies in the business, it means that we are able to keep our operating costs to a minimum and pass on the savings we make to our customers, in the form of highly competitive prices. Our powerful trucks are certainly not the most economical of vehicles to be found on the roads of WA but when compared to other trucks in their class, they are excellent performers. If you do not want to waste money having your machinery transported on inefficient trucks that have seen better days, make sure we are at the top of your list when soliciting quotes from local companies. Excellent Coverage – We are delighted to accept transportation jobs in all areas of the Perth metropolitan region so please do not hesitate to contact us to take advantage of our service if you are locally based. Furthermore, we are always happy to provide highly competitive quotations for country pick ups and deliveries, which is why we are the transportation company of choice for many residents and commercial organisations across Western Australia. Wherever you are located and no matter where you would like us to transport your machinery on our tilt tray trucks, pick up the phone to enquire about our rates today. If you take the business of machinery transportation as seriously as we do, you will appreciate the level of service we are able to offer thanks to our expertise in this particular field. We understand how important it is that valuable plant and machinery is actually where it is expected to be on any given day and we work in close concert with our customers to make sure that their equipment is always in the right place at the right time, and in excellent working order.